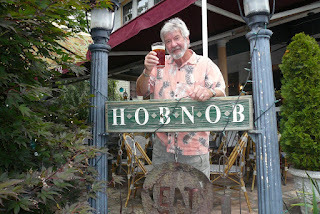 You might recall (or do a search here in the archives) that back in October, Kay and I paid a visit to Brevard, NC, while staying in Greenville, SC. Not a long drive and the mountain scenery is great. Anyway, the news then was that Oskar Blues Brewing was opening a second brewery (the first is in Colorado) in Brevard, part of the growing craft beer industry in the Ashville, NC area. Well, the brewery just announced that their first brew is in the fermenters at their new facility. Congrats and good news for those beer-loving neighbors in Brevard and up the road in Ashville.